I guess. I was always wondering when someone would start the same game but with song titles lol I guess nifty album covers wouldn't fit with that though. Maybe YouTube clips. stop it Trace ! You're brilliant at it ! There you go an album I've never heard of before...thanks for the tip kid ! [h=2] Artist/Album Association Game[/h][INDENT]Let's give this a shot and see where it takes us. I will start off with the name of an artist/group and album title. The next poster must make a post of a different artist/group and album title that has a key word the same as a word in the previous post. You can't use the same artist/group in successive posts. That would be too easy. So you have 5 key words to choose from there. You can't use words such as of, the, to, a, I or any of those types of words whatever they are called. Some grammar expert can tell us. The trick is not to stump evrybody but to keep it going. So when you post an answer, try to think of what a correct follow up post would be. If you can't think of one, try to come up with something else. Then if no poster can come up with a response in let's say 1 day (24 hours) you should post a hint of the album you came up with and more if needed. Give it a go people. Might be fun. Here is your starting album. so you have 4 key words there and you cannot post another Whitney Houston album. 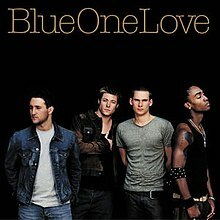 I posted BLUE - ONE LOVE ...so whose going to make it number 2,797 ??????? ok i'm bored !!!! ...lol...will someone come and play with me ? I guess you're all stumped....I'm not here goes !